The primary New Testament method of evangelism is preaching or proclaiming. Jesus and the apostles didn’t befriend first and wait for a gospel sharing moment. The urgency of the gospel is lost because relational evangelism takes too much time. Paul didn’t bother with building a friendship with anyone before nailing them with the gospel. The unregenerate are enemies of God and therefore have no interest in spiritual things, even the reasons for your holy life. Relational evangelism makes the effective work of the Spirit of God dependent on something – the context of a relationship. Christian believers fail at the great commission because they never get around to sharing the gospel, valuing the friendship over the good news. Some of these are valid criticisms. 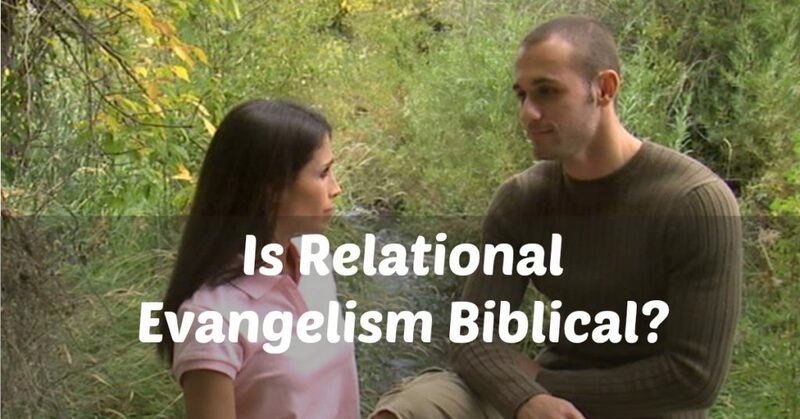 In this post, I want to address the biblical aspect of evangelism through relationships. Is there New Testament evidence of the gospel spreading through relational networks? This is a question of context, not method. Method will focus on the how (teach, preach, share), where as context focuses on the where and when. Is there NT Evidence of Relational Evangelism? Relational evangelism is focused on spreading the gospel through relational networks. That might be through your current friendships. That might be through intentionally making new friendships if you have been a Christian so long that you have no non-Christian friends. 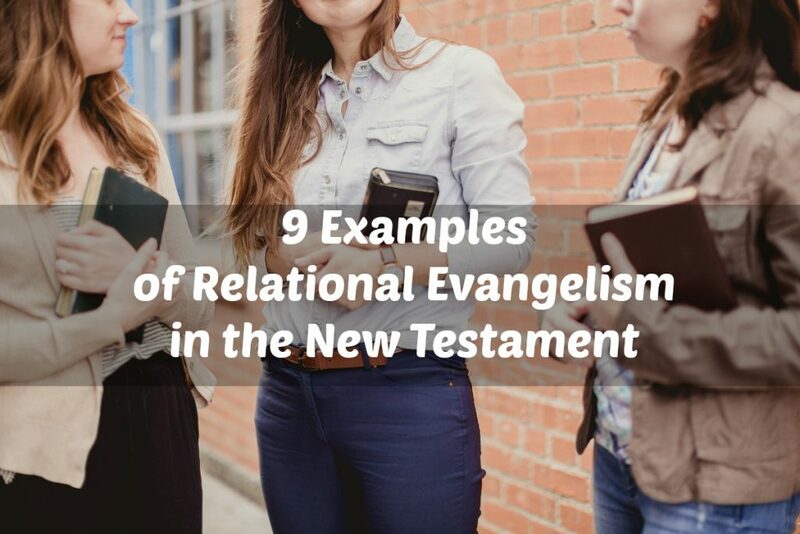 Relational evangelism assumes that the believer is looking for God-given opportunities to talk about faith in the midst of existing relationships. Relational evangelism is intentionally positioning oneself in a network of people for opportunity to share the good news. Andrew brought his brother Peter to Jesus. Philip brought his friend Nathanael (John 1:40-51). The Samaritan woman told her whole town about her encounter with Jesus (John 4:28-42). The exorcised man from the Gerasenes went home and told his friends how much Jesus had done for him (Mark 5:19-20). Matthew invited his friends to a dinner party where they could meet Jesus (Matthew 9:10-13). Jesus was accused of eating with sinners and tax collectors (a relational experience). Paul spent nearly two years talking faith with Felix. At the end of Acts 23, the apostle Paul was sent to Felix, the governor. Felix had Paul guarded in Herod’s palace (Acts 23: 35) until he had the chance to hear Paul himself (Acts 24). After the hearing, Felix gave Paul some ”freedom and permit his friends to take care of his needs” (24:23). Felix still got to hear of Jesus and the implications of being a disciple of Christ. These faith sharing conversations went on for the next two years (v.27). Some other New Testament hints of relational networks. As I skim through the book of Acts, there is a lot of preaching and proclaiming, no doubt. Luke’s focus is on the rapid spread of the gospel. Verbal sharing is a primary methodology. But evangelism through relationships is hinted at in various places where social networks are in place. Members of the early church were known for their good works, being “highly regarded by the people.” (Acts 5:13). At the same time, they were obeying God’s command to “tell the people the full message of this new life” (verse 20). News spread through personal networks. Healings were a triggering event that lead to conversions at some point, though the text is not explicit in how people heard the content, in these cases. Acts 13:44 shows how people spread the word to others after hearing Paul teach in the synagogue. They invited their friends the following Sabbath. Acts 17:2 shows Paul going to the synagogue for 3 weeks to reason, debate and explain. Some people needed time, and one can assume that some friendships may have started. Certainly, one can assume that the listeners talked among themselves between weeks about the message, including some who believed already. As I read Acts, I’m struck at how the gospel spreads from friend to friend, through social networks. People hear the message and then share it with their friends. People hear it and invite their friends to hear the next weekends message. People hear their life change in their friends and after considering it’s impact, want to know more and ask. If Christians withdraw themselves from the world, they will lose their relational connections with people apart from Christ. They will lose an available means to credibly share their faith. It could be that a healing triggers a spiritual curiosity to hear more (the woman at the well). It could be that the teaching about Jesus triggers an invitation to a friend to hear more next week (Acts 17). It could be that God reveals himself that a leader who brings others to hear the message of the good news (Cornelius). As a follower of Christ, I want to be in the place and time where I can share the good news with people. I appreciate your article. I have a few thoughts I want to share. When I think of relational evangelism, I typically think of the quote “Preach the Gospel always, and if necessary, use words.”, often miss attributed to Francis of Assisi. This closely mirrors Matthew 5:16 that you shared in your “What is Relational Evangelism article. The problem is, people use this as an excuse to NOT share the gospel explicitly, which just isn’t Biblical. Keep in mind, this is not what I heard you say, it just how I think many others define relational evangelism. That definition is where i think many of the criticisms above are targeted. I recently heard Mark Spence of LivingWaters.com address this very topic. Someone asked about sharing the gospel with a person they met at a coffee shop. I believe he said, if you feel like you to need to meet with them 16 times before you share the gospel, fine, but you’d better hope they don’t die after your 15th meeting. I believe he also addressed the fact that this takes significantly more time and less people can be reached. 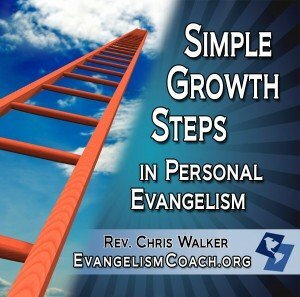 I think your article talks about a relational evangelism that is about sharing the gospel wherever God puts you. Your workplace, softball team and neighbors all come to mind. I think this is absolutely Biblical. I think evangelism to those you have relationships will look somewhat different that evangelism to strangers. After all, you have to see these people in the course of your daily life. That does not mean though we should not be sharing our faith with those we do not have relationships with, or having relationships with people and not sharing the gospel. I’m not sure an “Actions only” approach is an excuse as much as it is a fear of rejection, fear of the other person, or maybe even a lack of confidence in the gospel. You’ve got the right direction I’m moving in: Share the gospel where God puts you. It’s evangelism where you live. I think Jesus spent friendship time with the disciples, and it took them a long time to understand the gospel. Jesus spent time with Mary and Martha, spent time in the home of Pharisees, and spent meal time with tax collectors and sinners. I think he did evangelism where he lived, not just with the strangers who spoke to him. I enjoyed reading about relational evangelism. I agree that we cannot dismiss evangelism through relationships and likewise we cannot dismiss evangelism because a deep relationship has not yet been established. The Word of God instructs us how to live in a world where some people do not love Him and do not love us. He tells us to love people. Everyone is made in Him image, although that image has been marred by sin. Romans 12.14-21 and 1 Peter 3.8-15 are two passages which deal with relationships with people. We should be ready for opportunities to share regardless of the relationship status and we should show the love of God to others in our relationships with them with the hope that they will one day get it. Thanks for dropping, by. I’ve gravitated towards relationship evangelism as my primary style, because I’ve seen the impact that it makes in making disciples. I don’t neglect the more up-front contact evangelism (in fact, I teach it in mission schools), but I’m not sure how effective it is in helping resulting believers grow. Is results the way we measure? That’s an entirely different question than what I’m addressing in this post – got to put that in the hopper for a future article. Where in Luke 19 does it say that Zaccheus threw a dinner party for his invited friends?